He is in critical condition with major trauma injuries. A West Virginia State Police Corporal is in serious condition at a Charleston hospital, after being hit by vehicle during a traffic stop. Officials tell us a little before 9:00 Saturday night, Corporal Andy Pringle of the Harrisville detachment was conducting a traffic stop near Cisco. During the stop, a vehicle driven by Jessie Parsons of McFarlan hit the cruiser and Corporal Pringle. Pringle had another trooper with him who he was training, his name his Trooper Honaker, and he was also hit by the vehicle, but only suffered minor injuries. Corporal Pringle was taken to Charleston Area Medical Center. Parsons is at the North Central Regional Jail and is charged with DUI Causing Bodily Injury. Corporal Pringle is in serious condition in the ICH, but officials tell us that doctors have seen some signs of progress. 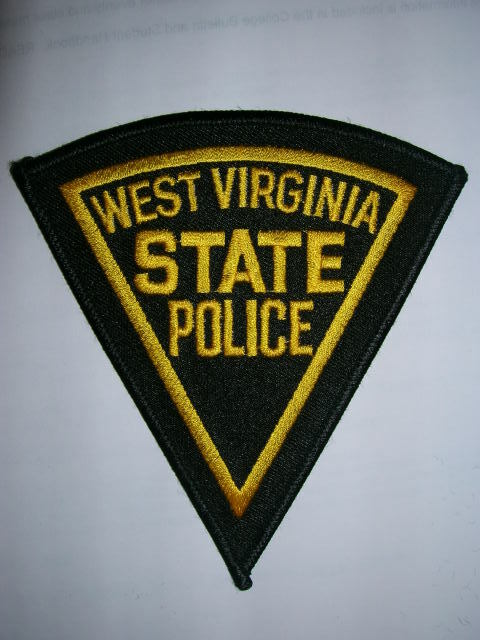 West Virginia State Police say on April April 24, at approximately 8:45pm, Corporal A. M. Pringle of the Harrisville Detachment of the West Virginia State Police was conducting a vehicle traffic stop near Cisco, West Virginia. During the traffic stop, another vehicle being driven by Mr. Jessie D. Parsons (63 years of age, from McFarlan, West Virginia) struck Corporal Pringle’s West Virginia State Police issued Ford Crown Victoria and then struck Corporal Pringle alongside the roadway. Corporal Pringle suffered serious injuries and was initially transported to Camden Clark Hospital in Parkersburg, West Virginia. Eventually, Corporal Pringle was transported to Charleston Area Medical Center to receive further treatment. Mr. Parsons was arrested for driving under the influence causing bodily injury and subsequently transported to the North Central Regional Jail. No word on Corporal Pringle’s condition at this point. WTAP will keep you informed as details unfold. A West Virginia State Trooper has been taken to the hospital with unknown injuries. The details are slow to come in at this point, but officials with the Wood County 911 center tell us a Ritchie County State Trooper has been taken to Camden Clark Memorial Hospital. Around 9:00 Saturday evening, police cruisers were clearing a path through downtown Parkersburg streets to make way for the ambulance transporting the trooper. Again, that’s all the information we have at this time, but we will keep you updated with the latest. PARKERSBURG-A West Virginia State Police Trooper was seriously injured during a routine traffic stop Saturday evening when he was struck by another motorist. Reports from dispatchers said the incident occurred at the intersection of West Virginia 47 and Newark Road in Ritchie County. Area residents calling The Parkersburg News and Sentinel said Newark Road had been closed to traffic. There were calls on police radios about an officer down in Ritchie County. Dispatchers with the West Virginia State Police said as of 10:45 p.m. no information was available regarding the trooper’s identity or condition. Dispatchers at the Wood County 911 Center said Wood County law enforcement officers were called out around 9 p.m. to keep the roadways to Camden-Clark Memorial Hospital clear. Weather conditions Saturday evening may have precluded the use of a helicopter for transportation. The dispatcher said a trooper had been injured, but no other information was available. Calls to the state police public information officer for confirmation were not returned late Saturday. A hospital spokeswoman referred questions about the incident to the Wood County detachment of the state police. Thank you for every other fantastic articleThe place else may just anybody get that type of info in such a perfect way of writing? I’ve a presentation next week, and I am on the look for such info….